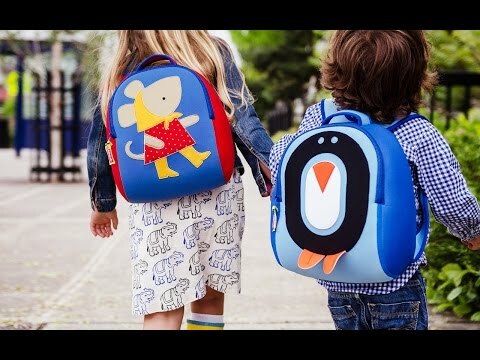 The only downside to these eco-friendly kids’ backpacks? Picking just one adorable design. They’re sized especially for preschoolers with just enough space for lunch and a few toys. The pint-sized packs are made from stretchy, durable—and washable!—TPE, which is toxic-free and recyclable. Going green never looked so cute. Dimensions: 12" x 11" x 6"
Purchased the blue monkey for my 18-month-old grandson. High quality and oh so cute. A favorite gift. Don’t hesitate. You won’t be disappointed. Bought early incase they sell out! Sooo cute! Bought for upcoming 2 yr old B-day to get longest use from it. Great quality. Susan Givens knew exactly what she wanted in a backpack for her son—only, she couldn’t find it. An eco-friendly, washable bag proved so elusive, she began making them herself. These backpacks can go in front loading washing machines (thank you, Susan!) 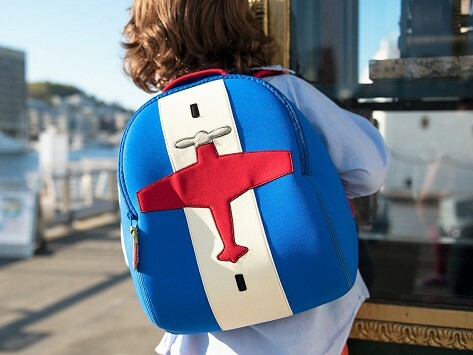 and will thrill little kids who have a bag pared down just for them.